It’s a debate every gun guy has had. AK-47 vs AR-15. Old vs new. Soviet vs American. It seems that everyone has a favorite, and they are more than willing to tell you why. If you’re an AK guy, you know that no gun ever made has been more reliable than the AK-47. If you’re an AR guy, you love how customizable the AR-15 is, and boast about the fact that your rifle is more accurate at longer distances and is considerably lighter than the AK. In this article, we will discuss in depth the pros and cons of each rifle and finally settle the most divisive question in all of shooting. The brainchild of Mikhail Kalashnikov, the Avtomat Kalashnikova or AK-47, was adopted as the primary battle rifle of the Russian military in 1949. The AK-47 had many advantages over its predecessor, the SKS, including a detachable 30 round magazine and selective fire modes. Kalashnikov, a Russian military officer who retired with the rank of lieutenant general, was originally inspired to design an automatic rifle while he was recuperating from wounds received in the Battle of Bryansk during World War II in 1941. He observed that the German troops had automatic weapons while the Russian troops did not. Although his first design of a submachine gun was not adopted by the Russian military, his talent for weapon design was apparent. In 1942 he was reassigned to the Central Scientific-developmental Firing Range for Rifle Firearms of the Chief Artillery Directorate of the Red Army. In 1944, Kalashnikov faced a major setback when rival designer Sergei Simonov designed his semi-automatic carbine SKS, and it was adopted by the Russian military a year later. The setback was short-lived, however, as Kalashnikov would perfect his automatic rifle design just two years later, designated the AK-47. It would quickly replace the SKS as the main battle rifle for all Russian military troops. As the proverb says, “It is a poor craftsman who blames his tools.” When shooting iron sights, accuracy is much more a test of the shooter’s skill than of the weapon’s ability. To measure accuracy, the most common measurement is minute of angle (MOA). MOA is described as how small of a shot group you can repeat at a given distance. 1 MOA, for example, is a 1-inch shot group at 100 yards. That means that a 1 MOA rifle will be able to produce a shot group 2 inches wide at 200 yards, 3 inches at 300 yards, and so on. Most AK advocates are less concerned with MOA and more concerned with the rifles ability to kill enemies. Although not it’s most impressive quality, the AK-47 can stand up to any rifle in terms of accuracy when it comes to actual infantry fighting distances. Reports have shown that in recent combat, half of infantry engagements were within 500 meters. In separate research, it’s found that engagement distance for infantry haven’t changed much since WWI, with most action at a distance of 100 meters or closer. At 100 yards, the AK-47 in the hands of an experienced shooter can repeatedly hit 10/10 shots into a silhouette target, which means you can effectively kill the enemy. But using the MOA system, a 3 MOA is about best you can expect from any AK-47. All firearms function better when properly maintained, this is true. But the ability to perform as intended with little to no maintenance is one of the AK-47 hallmarks. The minimal maintenance needs of the AK go hand in hand with its unmatched reliability. 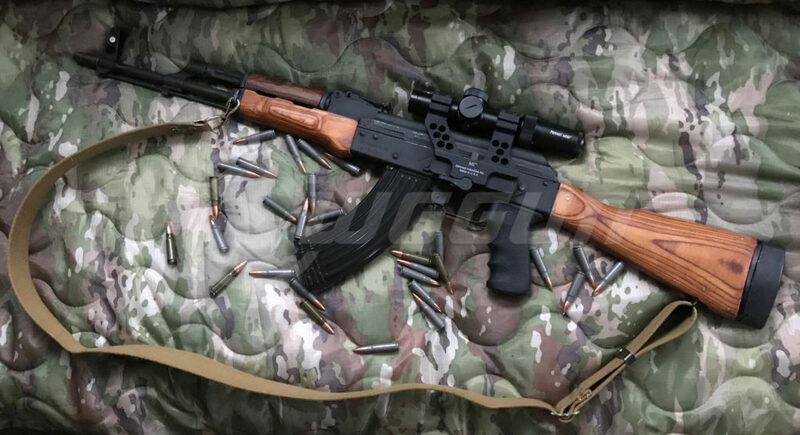 AK-47s have performed from the sweltering jungles of Vietnam to the deserts of Iraq with no lubrication and little in the way of preventative maintenance. Reliability is where the AK-47 really shines. It is famous, almost notorious, for being able to take abuse and continue to function properly. While not completely indestructible, the AK-47 is as close as a firearm has come to being completely fail proof. There is a plethora of tests conducted that showcase the AK-47s reliability. These tests include burying the rifle in mud, freezing it in a block of ice, or submerging it in a lake overnight. In every test, the AK-47 functions properly with just a cursory cleaning. In the battle of AK-47 vs AR-15, the AK-47 wins reliability hands down. The AK-47 is the most produced firearm in the world, with the number of individual guns produced at over 100 million. Mikhail Kalashnikov’s design was revolutionary in its simplicity. It is currently in production in over 20 countries and has been adopted as the main battle rifle of over 50 country’s militaries. The AK-47 has established its place in history as the most reliable war machine ever produced. The history of the AR-15 begins in 1957 when the U.S. military opened a competition to develop a new infantry rifle. Among the competitors was Armalite Corporation and its designer Eugene Stoner. Gene Stoner developed his rifle around a new caliber of projectile, the .223 round. 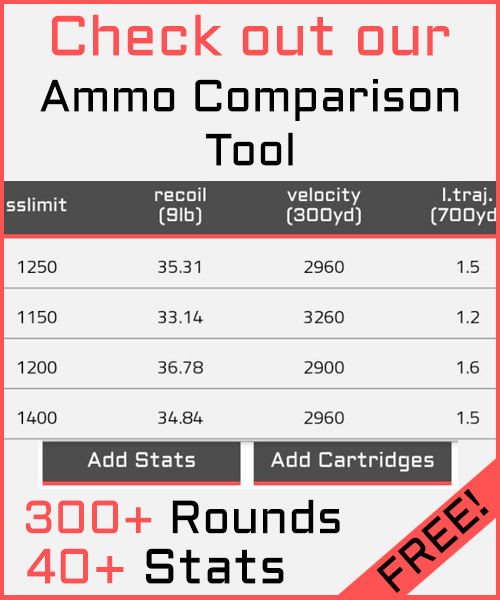 The .223 round performed admirably in the AR-10, Armalite’s entry into the competition. But government bureaucracy got in the way, and it would take years of lobbying and some friends in high places before the AR, or Armalite Rifle, would make it into the hands of U.S. service members. Fast forward to July 4th, 1960, when Air Force Vice Chief of Staff General Curtis LeMay was invited to a party in honor of former Armalite president Richard Boutelle. General LeMay is given the opportunity to fire the Armalite Rifle at watermelons during the party, and immediately became an advocate for the rifle. His influence and persistence paid off, and by 1962 the AR-15 became part of the inventory of the U.S. Air Force, eventually making its way to every branch of the U.S. military. In comparison with the AK-47, the AR-15 is much more accurate. There are several reasons for this. Generally, AK-47s run military surplus ammunition. This ammunition, while of a high enough quality to feed, fire, and cycle without problem, leaves dirty residue, and accuracy is often not repeatable. The dirty residue can be overlooked because AK-47 users hardly ever clean their bore or chamber; it’s just not necessary. AR-15 users tend to run cleaner ammunition because the weapon requires it. A dirty chamber will often result in misfires in AR rifles. Add to that a better quality barrel and rifling, and you can see why AR-15s are the more accurate of the two rifles. With magnified optics, an AR-15 can easily hit targets of up to 600 yards in the hands of an experienced shooter. If you look at MOA, the AR-15 is repeatable to about 1.5 inches at 100 yards, a 1.5 MOA. That equates to about twice as accurate as the 3 MOA AK-47. AR-15 wins accuracy. Once in the military inventory, the AR-15 was renamed the M16A1 and was sent overseas to the conflict in Vietnam. Originally, the M16 had many mechanical issues in the sweltering humidity of southeast Asia. The M16 requires lubrication and a clean chamber to function properly, but Soldiers marching through miles of jungle often left the lubrication behind to lighten their load. Combine that with the muddy conditions that battles were often fought in, and M16s quickly got the reputation of being unreliable. Modifications were made to the M16, such as three-round burst mode in place of fully automatic fire. In the years after the Vietnam conflict, the M16 began to once again gain in popularity with U.S. forces after an initial poor showing. By the 1990s, the M16 was redesigned and improved once again, shortening the overall length and redesignating it the M4 carbine. With just basic maintenance, the M16 and M4 can be kept in top operating condition. Because of poor field maintenance during the initial use of the rifles in Vietnam in the early ’60s, the M16 suffered from a reputation of poor reliability early on. As Soldiers became more familiar with it, and basic maintenance became more routine, the reliability of the M16 increased drastically. In the civilian market, the AR-15 is a reliable firearm when using clean ammunition and providing a good cleaning after each use. The AR-15 is one of the most popular firearms in the United States, and around the world. Its fans love the availability of accessories and the ability to customize their rifle. It is unanimously a favorite amongst U.S. military troops as well. The M16/M4 is smaller and lighter than the AK-47. The ammunition itself is also much lighter, allowing infantry troops to carry a larger basic load. The tradeoff in weight is that some feel the .223/5.56mm round does not have the stopping power that 7.62x39mm has. In the batter of the AR-15 vs the AK-47 It’s impossible to say which gun is best. Both guns have positive aspects, and both have minor drawbacks. But what’s certain is that these are two of the most popular guns in the world, and both have a huge following of supporters.